Prince William began 2013 by participating in the attempted rescue of a man who was swept out to sea in the early hours of New Year's Day. According to reports, the Duke of Cambridge, 30, was part of the team searching for a 41-year-old man swept into the sea by gale-force winds. Britain's Sky News reports that the man was walking his dog with another man near a pier in Blackpool, England, when both ended up in the water. The second man was able to get to safety and call for help. William, a search-and-rescue helicopter pilot, was reportedly part of a Royal Air Force crew involved in the search. According to the BBC, the rescue helicopter from the RAF Valley base in Anglesey, Wales, provided lighting assistance for the search teams. But the man could not be found, and the search has been called off. Stuart Atkinson, watch manager at the Crosby Coast Guard station, told Sky News: "We received a call at 12:13 a.m. from Lancashire Police reporting that a male was in the water near the South Pier at Blackpool. The area was searched and unfortunately we didn't find the 41-year-old male at that time." 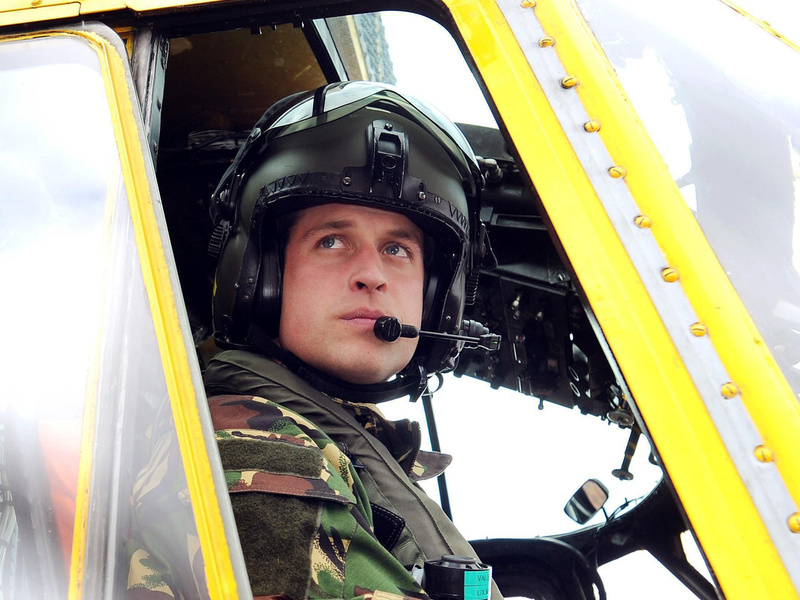 Us Weekly reports that William had intended to spend New Year's Eve with his pregnant wife, Kate, but those plans changed when he was put on call for search-and-rescue duty.